Home Tutorials What Are Bitcoins? For many of us, the concept of a digital currency may be a little difficult to grasp. But in today’s times virtually everything we do is inextricably intertwined with the Internet. Bitcoin is a digital currency that is created and stored electronically. The most important component of this cryptocurrency is the fact that it is not a physical currency unit. Think of Bitcoin as a credit added to your bank account – it is easily transferable and can be used as a medium of exchange. Only in this case, Bitcoin simply cannot be withdrawn in its raw state because it has no physical form. Nowadays, Bitcoin is produced by high-tech computers capable of solving complex math problems. As the first decentralized (it is not controlled by a central bank or authority) digital currency, Bitcoins are effectively digital coins that can be transmitted between parties over the Internet. 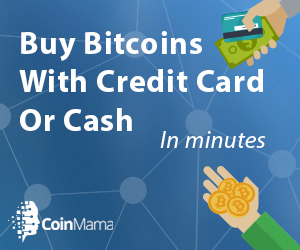 There are many advantages to using Bitcoin over conventional currency or other means of payment. For starters, Bitcoin can be transmitted from one person to another with no intermediary involved. This means that clearinghouses and banks are not involved in the transfer of Bitcoin from one person to another. The added advantage of transferring currency this way is reduced transaction fees. Additionally, Bitcoin can be used globally and it is not subject to central bank intervention vis-a-vis interest rates, monetary policy, currency cross exchange rates and the like. Further, your Bitcoin account cannot be frozen by any regulatory authority since only you control it. The manner in which Bitcoin works is really interesting. Recall that Bitcoin is not a currency that is traded against USD, EUR, GBP, CHF or ZAR. However, there are multiple exchanges where this currency is traded. Bitcoin is traded on exchanges denominated in USD, GBP and the EUR among others. Unlike a regular bank which has a physical location and holds your actual currency, Bitcoin is maintained in an e-Wallet on your computer, smartphone, or tablet. This digital currency is easy to send and receive, and it can be used for the purposes of purchasing goods and services all over the world. In other words, it has no limitations in terms of a medium of exchange. The entire Bitcoin network is guaranteed secure by a large global network of individuals that are known as ‘miners’. These individuals receive rewards in the form of Bitcoin for all of the transactions that they have verified online. Once Bitcoin transactions have been validated, a public ledger will post details of the verified transactions online for everyone to see. The open source software that defines the Bitcoin network is innovative and completely user-defined. The code is open to review by anyone who has access to it. The financial world and the manner in which transactions are conducted between individuals is being heavily impacted by cryptocurrencies like Bitcoin. The benefits of transacting in Bitcoins include sharply reduced fees, relative anonymity, no chargebacks, decentralization of exchange, and an easy setup. The Bitcoin community is growing fast and this provides a large platform for transactions to take place. Irrespective of Bitcoin’s non-conventional currency status, it can still be used to purchase goods electronically. The difference with Bitcoin is that it is a decentralized form of currency and it is not controlled by anything other than the global Bitcoin network. In this sense, Bitcoin can be thought of like email. It is freely available to anyone but it is not controlled by any individual company. Once a transaction has taken place, it cannot be reversed. This is especially important, because it means that banks, individuals or governments have no ability to block others from sending/receiving Bitcoin. The upside of this is that you are in control of all transactions at all times, but there is no recourse if things go awry. In this sense, Bitcoin is not dissimilar to cash. All information relating to Bitcoin transactions should be safeguarded with the highest security protocols at all times. Just like you would not trust a complete stranger with your own cash, so you should not give strangers access to your Bitcoins. The manner in which Bitcoins are secured is important. Bitcoin wallets can either hold private keys that belong to users conducting transactions with the cryptocurrency, or you will have complete control over your Bitcoin private keys at all times. It is important to distinguish between the different types of Bitcoin wallets that are out there since anyone with access to your private keys could potentially steal your Bitcoin. The vast majority of Bitcoin wallets allow the user to have full control over the management of these private keys. In much the same way as a financial portfolio is best when diversified, it is probably a good idea to maintain multiple Bitcoin wallets simultaneously. In case you’re wondering what determines the going price for Bitcoin, it is supply and demand. There is an interesting reality with the supply of Bitcoin: only 21 million Bitcoins will ever be produced in the world. With a finite supply, the price per coin is likely to increase over time. Presently, there are only a ‘handful’ of people using Bitcoin but this is likely to increase as the popularity of cryptocurrencies spikes. As with all supply and demand, the quantity of available Bitcoin influences the price. Just 5 years ago (2011) Bitcoin was trading under a dollar. Today, each Bitcoin is worth hundreds of dollars. With increasing demand coupled with its rarity, Bitcoin prices could skyrocket in the future. Bitcoin exchanges are market places where this digital currency is traded. The price for Bitcoin will vary from one exchange to the next, but buyers and sellers will ultimately bring about equilibrium in the market. For the most part, Bitcoin buyers and sellers enjoy relative anonymity. The blockchains where Bitcoin transactions are conducted can be traced to individuals over time, but with the right amount of caution one can safeguard one’s identity.